Have you exercised and eaten well all winter to look good for Spring and Summer but still have areas on your body that you are just not satisfied with? For some people, certain areas of the body and face are resistant to diet and exercise. You are not alone! The good news is that body contouring through liposuction is extremely effective to get rid of those unwanted bulges. Liposuction is not a remedy for weight loss, instead it is very effective for spot reduction. At Cosmetic Surgery Center in Santa Barbara, Dr. Perkins often treats the abdomen, flanks (“love handles”), inner thighs, outer thighs (“saddle bags”), knees, arms, and the lower face/neck area. With liposuction by Dr. Perkins there is no need to worry about scars from the surgery. Incisions are small and hidden in natural creases such as the belly button and within the hair area and are normally closed with one or two stitches. Our patients comfort level is one of our primary concerns during and after the surgery. Liposuction is done under a combination of oral and intravenous sedation that keeps the patient comfortable and unaware and does not leave them with a “hangover” that often occurs when general anesthesia is used. For most people, pain is minimal after liposuction and can be controlled with over-the-counter medication. A person can return to work anywhere between two to seven days, depending upon how strenuous your job is. Call Cosmetic Surgery Center at 805.563.0000 for a liposuction consultation with Dr. Perkins. People may opt for liposuction to better their aesthetic appearance, but recent findings show that they may also be improving their internal body. An article in the LA Times on Friday suggests that liposuction has additional benefits that may help to improve cardiovascular health. Plastic surgeon Dr. Eric Swanson from Leawood, Kansas, conducted a study of 229 people that found that those who started out with triglycerides and had liposuction saw a 43% reduction in triglycerides three months after the liposuction procedure. Those who had normal levels saw no difference. In addition to that, he also found that white blood cell counts fell 11% after liposuction. White blood cells are linked to inflammation in the body and associated with a higher risk of cardiovascular disease. It is unknown whether the lower triglyceride levels will remain. The article also noted that the reduction in triglyceride levels from liposuction is twice the reduction that people who are taking cholesterol-lowering medications usually get. At Cosmetic Surgery Center in Santa Barbara we always stress that liposuction is not a weight loss procedure, but is a body sculpting procedure. Liposuction, with or without skin excision, can be done for those places in your body where stubborn fat persists, especially after a dedication to healthy eating and a steady exercise program. Cosmetic surgeon Dr. Terry Perkins has been performing body-sculpting liposuction in Santa Barbara for many years and has refined the technique so that it can be done comfortably with local anesthesia plus sedation instead of under general anesthesia. This makes the recovery time for patients faster as they do not experience an anesthesia “hangover” the days following the procedure. 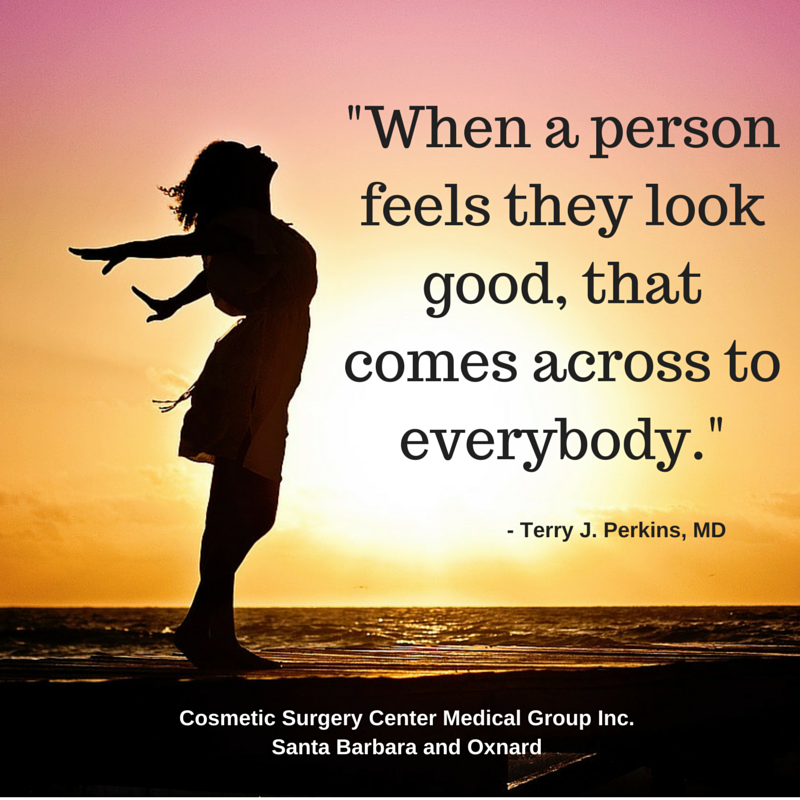 Contact Dr. Perkins at Cosmetic Surgery Center for a Santa Barbara liposuction consultation at 805.563.0000. Click here to learn more about your visit with Dr. Perkins. Dr. Perkins also performs body contouring through liposuction which can also be done in conjunction with skin removal (for those who have lost a significant amount of weight and are left with excess skin). Evolutions Medical Spa, a medical spa in Santa Barbara that is founded by Dr. Perkins, does non-invasive enhancements such as the anti-wrinkle treatments of Botox and Dysport as well as dermal fillers that temporarily add volume to the face by filling in lines and wrinkles. Evolutions’ newest treatment that may appeal to men (although it is for both men and women) is Laser Hair Restoration – a non-surgical hair restoration process that can stop hair loss and re-grow hair. Let Dr. Perkins help you – men and women – look your best! 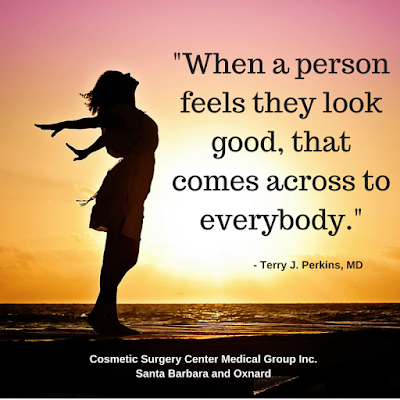 For more information on Santa Barbara plastic surgery procedures, schedule a consultation with Dr. Perkins at his Cosmetic Surgery Center Santa Barbara near Cottage Hospital: 805-563-0000. For more information about non-invasive aesthetic procedures, call Evolutions Medical Spa Santa Barbara at 805-687-0212 or fill out this form to request a complimentary consultation. Are you plagued by “muffin top” – the unwanted bulge over the waist band of your pants? Cosmetic surgeon Dr. Perkins can help you get rid of it through liposuction. “Bulges” in the stomach and flanks can almost always be treated with liposuction. 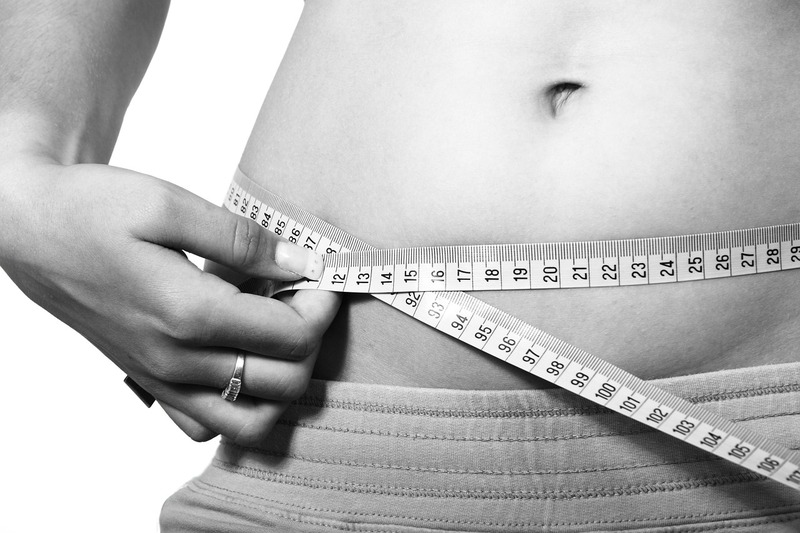 It is important to remove the fat evenly so that you are left with a uniform thin fat layer instead of the fat bulge. The small incisions are usually hidden in the navel, pubic hair or under the bikini line. When skin removal is needed, a “mini tummy tuck” is often sufficient. This excision is done so the scar will lie at the upper edge of the pubic hair. It can be extended as far to the sides as is required to avoid a “dog ear” pooch of skin. If this is done, the abdominal muscles are usually sewn together in order to further flatten the lower abdomen. Skin removal is almost never necessary in the hips. Patients who are good candidates for this procedure are typically extremely happy with results. Read more information on Liposuction and see more Before and After liposuction pictures of several of Dr. Perkins’ actual patients on the Cosmetic Surgery Center Santa Barbara website. For a liposuction consultation with Dr. Perkins, call Cosmetic Surgery Center at 805.563.0000.